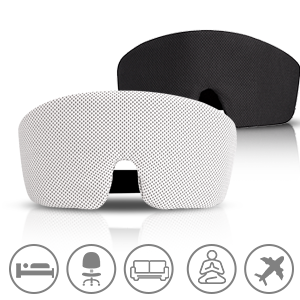 Unique shape design for the eyes totally blocks all the light and distraction. Fully-adjustable adhesive tape allows for most people to wear. 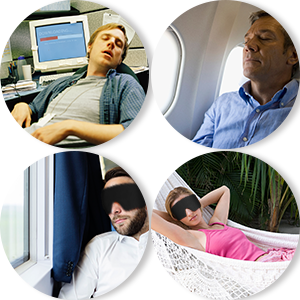 Enjoy your sleep in a simple and easier way. Made of special cold skin-like fabric and embedded with superior light weight sponge makes it more softer and breathable than its competitors. Cold touch when it gets wet. 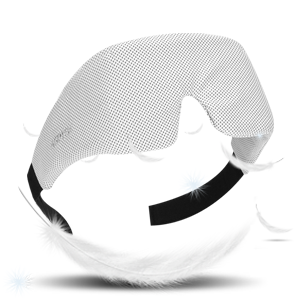 Detachable headband design for easy cleaning. Adjustable speaker which can be fixed in the desired location whenever you turn over during sleeping or other occasions. Solid standard 3.5mm audio plug that works perfectly with most of the MP3 players, mobile phones and tablets. Longer and high-tensile 59 inches braided cord enables a wider connection range. Earphone with remote makes volume adjustment easier when you are wearing. Have a comfortable deep sleep! 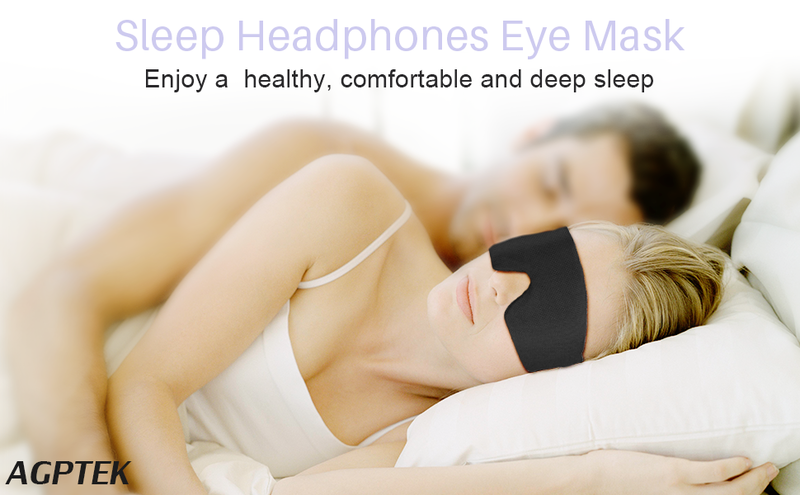 Comfortable and secure, Unlike earbuds or other bulky earphone headbands, it will not hurt your ears whether you are a side sleeper or lie on your back. Insulate most of the environment noises that helps you better relaxing and promotes deep sleep. Unique shape design with special material make it suitable for most people’s face and comfortable wearing. No hot and uncomfortable! Lightweight, portable design for easy-carrying wherever you go for a rest.